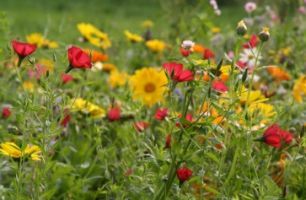 Choose from among dozens of wildflowers for your rain garden. Find these flowers at Plant Native, or 10,000 rain gardens. You can also find some native flowers at Spring hill Nursery or Guzman's Greenhouse . Below are lists of dozens more wildflower by the region they grow best in, but it is the experience of this author and gardener that many of these wildflowers will grow outside of their recommended region so be sure and look at them all so you don't miss out on some encredible options. Are you looking for just the right exotic flowers for your loved one, flowers that stand out from the rest and take the breath away? Look for ideas at Many of these flowering beauties will work well in a rain garden. Be sure and check the particulars for each. Look for exotic plant ideas at Exotic Plants Direct. Orchids Plus More Store has exquisite and stunning orchids. Orchids Plus More.com is an informative site for those interested in Orchids and more. See the tips that will make your orchids explode in their beauty.